Will the Next Frontier Be Rituxan? You know that life we all want back? Well, mine always included fireworks. 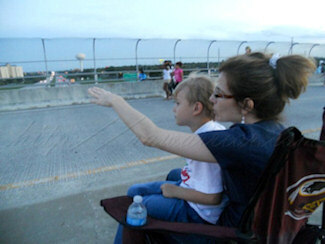 So this year, I spent about a week convincing myself (and the kids) that we could make the little trip to watch the city fireworks from the bridge the way we used to. The adventure includes a couple of blocks of walking, but it’s not rushed and Bear could carry my Redskins chair. 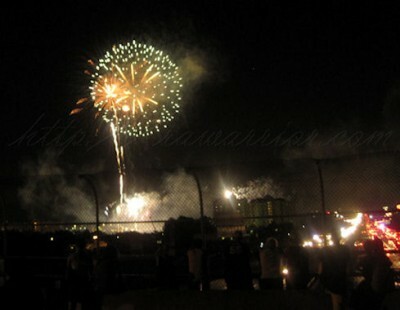 Following tradition, we made it to the fireworks on the 3rd! It’s an awesome plan because it makes for a very relaxed July 4th at home. The sky and heavens are always a significant to me. I’m always looking up. And a large percentage of the photos in my cameras have always been skyward. So, you guessed it! I decided we should have a Space Shuttle launch adventure too. I didn’t want just watch the last Space Shuttle launch from our front yard. Actually since we’ve lived in the area over 14 years, we’ve seen launches from lots of interesting places! 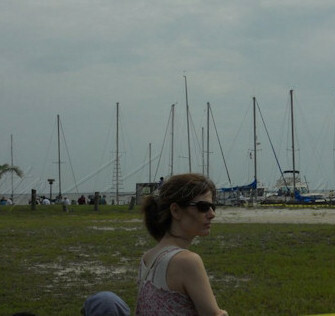 But we’d never gone to Titusville to stand directly across the river from the launch pad. With the tourists. Thanks to my family who made it as easy as possible for me on Friday, the 8th. And let my hurt knees and hips rest all weekend. You can see better photos of the last Space Shuttle launch in a special Facebook album. Of course, I’m not giving up on the idea that my miracle might still come someday. The two rheumatologists that have treated my RA both refused to use Rituxan as a treatment. So, it was not an option for me. The reason some rheum docs don’t use Rituxan is that it is linked to PML (progressive multifocal leukoencephalopathy), a rare, deadly brain disease. The incidences are extremely rare, but I guess some doctors think any risk is too high. So when I call rheumatologists, it’s now one of the questions I’m asking: “Does the doctor prescribe Rituxan?” I know Rituxan is not magical. It works for some and not for others. It’s just the one big gun that I haven’t shot at my RA yet. And I’d like a shot at it. Please share your Rituxan experiences on the comments page. My friend Lisa Emrich has done some research on PML. So, if you need more info on this, you should start here at this link to her blog where PML and Rituxan are discussed. I had a treatment of Rituxan. The first series of infusions worked well, I felt better for about a year – I even was to the point where I didn’t need NSAIDs. I needed a second series which left me feeling better for about 8 months and then a third which I had in March. This last series didn’t work at all, now I’m back on the NSAIDs plus daily pain meds and increased doses of MTX. I’m going to try Orcencia next, I think. I’m torn about my Rituxan experience. On the one hand, it was nice to have that year where I felt better and I was doing things I hadn’t done in years – like ride a bike – but to have the that independence and taste of a pain free life taken away from me yet again when it stopped working was horrible and sent me into a spiraling depression that I almost didn’t come back from. So, I guess as usual, there are no easy answers. We just have to continue trying things and hopefully one days we’ll all find something that works. In thinking about what biologic to try if I ever decide to go that route, Rituxan is the one I’ve leaned towards because of reports like yours – where you might not need another treatment for a really long time. Yours is the first, first hand report I’ve heard where it eventually stopped working for someone down the road, and that’s disappointing. I hear a lot of that with the TNF inhibitors, but so many fewer have gone to Rituxan yet that I guess we need to wait for those stories to come out. I wonder if having been on TNF’s, or not, before trying Rituxan makes much of a difference. Another thing we’ll have to wait quite some time to find out I’m sure. Keeping prayers going for you to find a good rheumdoc – close enough to be feasible! Hope your shoulders and all other painful joints get better fast! As for Rituxan, the risks may outweigh the benefits at this point. We need to find out more about it. Encephalopathies are not “a good thing,” and should be avoided until we are to the point of being bed-ridden. Even so, I, personally, am not willing to give my brain up as a sacrifice for my joints to be pain-free and more supple. I can use my brain even whild under pain meds – or at least most of them. So, for now, I’ll stick with what I have. Rituxan did not work for me, and it was a long four months waiting for the drug to leave my system before I could begin another biologic. I am scheduled for my first infusion of Rituxan in the beginning of August. I would be lying if I said I wasn’t scared. I was on Remicade for nearly 10 years and it really was a miracle for me but it stopped working. I have tried Arava, Imuran, and Orencia with no luck. I am back on Methotrexate now and it does help a little – it doesn’t last for a full 7 days though. I would love to be able to take NSAIDS but my stomach gave out on me 3 years ago and they make me have lots of stomach pain. Another blog had information that you should have benedryl, prednisone and tylenol when you get your infusions, My doctor does give the benedryl and the prednisone. Good luck with your quest Kelly – we all have to weigh the side effects with our quality of life. Hi Kelly..I think its so wierd that one drug works of one and not the other! But if i have found out anything is that it’s just that way! How do you do it with no med.!! If i dont have my shot im in the bed! You do so much that i feel guilty i couldnt keep up..your one tough broad! Good work you do Kelly. Now i know whats in my nose..staph.! Guess i need to call the doctor.Had it so long and just keep blowing it off. Good Luck on finding a biologic! I will say my prayers for you! Thanks Judy, like you said, “If i dont have my shot im in the bed!” – I AM – Most days, I’m just lying on the sofa – or on the bed some days. It’s so hard to move around so I push myself as hard as I can but I’m in constant pain & every joint hurts every day. Don’t feel bad cuz I don’t do much really – I can’t. I type as much as possible, but I haven’t been able to wash dishes for years – I cannot. If I try to mention how it is, then not very many understand – because they say, “Just clean your house on a good day” or “Just be thankful for the good days” as if we all have some good days. It’s very frustrating to try to explain. Kelly I know where you are coming from, since I am to at point with RA, I give up expecting my family or friends to understand. Yes it is very frustrating to try and explain to others. Take care and praying that you find a good rheummy and that the Rutaxan works for you. Thanks Suzie, I would do the same! Are you still taking Rituxan? If so, how has your experience been? A year pain free? I’d give anything for a week. I’m already in such a state of mind, as are most of us with chornic pain. Is this level of depresion taken into consideration when evaluating Rituxan. If I had a chance to use it, and they asked me about a tendency for depression, I would say, nope. no problem, none. Isn’t it only given when all other biologics have been exhausted? I don’t need to ride a bike. I would like to be able to use my keyboard, wash dishes, brush my hair without pain. And write a grocery list with something other than a sharpie. Am I asking for the world? I don’t think so. Hi, I first took Rituxan nearly nine years ago now. The first time I had it I had no side effects and boy did it change my life. It allowed me to stop all other drugs and I felt like I had a virtually normal life, if you know what I mean, no tennis or skiing or anything like that but walking, shopping, cooking etc. The first time I took it it lasted two years, the second time a year, and the third and last time only three months. I agree with Jaque, it was so depressing that it didn’t work any more, nothing else has worked liKe it, and I have never gone back to that ‘normal’ life. It was like your life was taken away from you for a second time. However, given another chance of something like Rituxan I would ‘jump’ at it. For three years I lived a ‘normal’ life with my children. I did not know aboutvthe possible brain problems. Maybe they hadn’t come out when I took it, it five nine years ago and I knew I was taking an experimental drug. I was in a clinical trial on rituxan along with Enbrel (no placebo) It never really helped, and I caught every illness going around at that time and it took 4-6 weeks to get over even a common cold. I am just on Enbrel now, I’m not better but I am not worse. #6 or #7. And I am flared in new places as well as now apparently have pleurisy. (not holding my breath that the actemra will do anything at this point). Rituxan worked for me for just over a year and then stopped working. Unlike Jacque Rituxan did not get me to the point where I could discontinue other meds but did reduce inflammation and allow me more comfortable movement. I have had RA for 32 years (back when they started treating it with the least powerful meds and worked up) so I have considerable permanent damage. I am not sure how much relief I can expect from a biologic since it won’t do a thing for the exisitng damage, but I have now started Actemra. It’s too early to see any improvement. I did initially resist Rituxan because of the side effects. It’s a quality of life decision that each person has to make for his or herself after research and careful consideration I decided the incidence of PML and other serious side effects was small enough to make it worth the gamble. So far my experience with Rituxan has been a good one. I had 1 day pain free after the first infusion, then a month pain free after the second. My doctor is hopeful the more infusions I do, the more the pain will stay away. I am in pain now, but NOT like I was before the Rituxan. I was taking all kinds of drugs for the pain then, I have started taking Tramadol again after 10 weeks since the infusion. So the pain was alot more bearable for a longer period of time. I hope you can at least try it Kelly! My doctor said she didn’t know what else to do as she was running out of “guns” for my RA. I am praying the next dose last a lot longer. Good luck Jacqueline – that’s very helpful – I had side effects at only 15 mg of pred & I’m prone to nausea & chills – so this would help me prepare for a better experience. Thanks. My rheumy does not like Rituxan- she much prefers Orencia. She has had some very bad patient outcomes (including death) due to Rituxan and is thus very hesitant about prescribing it. Rituxan has a high incidence of infusion reactions, much more than Orencia or Actemra. My neurologist also tries to avoid Rituxan as much as possible- again for safety reasons. I’ve had 3 Rituxan so far. The first time it did have a dramatic effect on my swelling & inflammation, and even my energy level improved. I have been able to maintain that, but it really hasn’t helped my pain level much. Also, the last 2 times I experienced horrible fatigue and feverish feeling 2-3 weeks later. Hard to know if it was the drug or not. Now that I’ve read about the brain infection, I don’t know if I want to continue. I’ve been doing them every 4 months, without Methotrexate, by the way. Linda, talk with your doctor about how low the risk is – I think it’s only a very small number of rituxan – RA patients who have had the pml – I think I read 3 in the world. 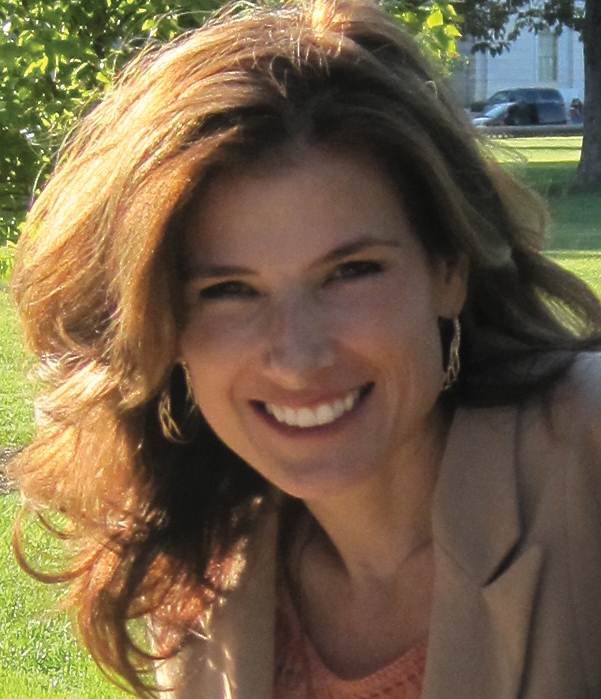 You could read Lisa’s blog to learn more – I know I didn’t cover pml adequately. I did read all the info. Helpful, but scary. Glad to hear only 3 for RA people. Seems that it may be that we don’t take so much, so often. I wasn’t on Rituxan, because my doc at the time wanted me to try Remicade first. My third infusion I went into anaphylactic shock, despite the Benadryl and steroids I got beforehand. Fun times. Since then, I’m really wary of any of the infused meds. My doc and I just agreed to try Simponi, one of the newer once a month TNF drugs. My Enbrel had stopped working, and in years in between I’d tried most of the other TNF drugs without much success. I’m 2 weeks in and went from pretty much unable to do anything around the house or with my kids, to almost-remission. I guess my point is that even when I had given up after 10 yrs of various TNF therapies, one more “similar” drug has ended up helping me. If you decide to go the Rituxan route, I hope that it works for you. Currently, I am using Rituxan and methotrexate to treat both the MS and RA. I have no desire to stop anytime soon. The infusions have even lasted longer with each round. I’ve had three rounds since November 2009. Progressive multifocal leukoencephalopathy (PML) is certainly not a desirable infection to develop. However it is no longer considered automatically fatal, especially when caught early. Intense research is underway to lessen the risk of developing PML for patients who use drugs which are associated with it. The drugs companies are actually working together on this right now. PML is caused by a reactivation of the JC Virus which is present in a large majority of the population. If a patient does not have antibodies to the JC Virus, they cannot develop PML. Research is showing, however, that it is a mutated form of the virus which is causing PML. So it is even more complicated than originally thought. If a patient on Rituxan (or Tysabri or any other tx assoc with PML) develops new or worsening neurological symptoms (numbness, tingling, weakness, lack of coordination, vision problems, personality changes, etc), he should seek immediate medical attention and mention all drugs used in the past year or more. An MRI and spinal tap should be done. If there is more that anybody wishes to know about Rituxan or PML, please feel free to email me (address linked on blog). For me, Rituxan has been totally worth it. Thanks so much Lisa. It’s a big help that you not only have done this research but that you came here to share it! What have you done for the allergic response? Benedryl or something else? For five of six infusions so far, I have had double the doses of benadryl (=100mg) and solumedrol (=250mg). We also have finally come to the conclusion that it is easiest to simply not try to increase the drip rate every 30 minutes just to back it off again when I start having a reaction (and need to administer more steroids). Makes for a long day, but the most recent infusion was actually the easiest and really didn’t take that much longer over all. Headaches from IV steroids are more common when the steroid is introduced very quickly. A solution to that is to ask the nurse to mix the solumedrol into a small saline bag and hang that rather than give the steroid as a “push.” That’s good for the benadryl as well since benadryl is hard on the veins and coming in more diluted is nicer (burns and scars less). Hanging these drugs in saline bags also lets them take affect in your body a little better (I think). Slower process, sure, but more effective. Another tip of advice: don’t wait until you can’t hear as well since the inside of your ears have swollen shut, or have trouble breathing/coughing, or have a swollen tongue, or can’t feel your lips before you say something to the nurse. That scratchy feeling in the throat or tiniest of coughs, or that itching on your ears or scalp….those are early reactions. Speak up sooner rather than later. Oh Kelly, I’ve been wanting to write you for some time now. I’ve had RA for about 3.5 years now and been on Enbrel, Humira, Remicade, Orencia, and now am Rituxin. No panacea! No “remission”. I also have a 17 year old daughter who is deaf. My youngest of four. Signing can be a challenge. Thank God for CI, lip reading, and Percocet! Hope to talk moe in the future. We live in Cincinnati, but are in Columbus bidding our 22year old son farewell as he is sworn in to the Air Force tomorrow morning. Tough trip emotionally and traveling always is physically. God bless. Keep hope alive! I had a bad experience with Rituxan. My then-rheumatologist was hesitant to pre-treat with steroids, even though the manufacturer recommends it, then I had three infusion reactions, pow pow pow. Fever, hives, lethargy. I was discontinued about thirty minutes into the trial. I hesitate to even think about what would have happened had my infusion nurse not been so adamant about advocating for pre-treating me with the decadron. Rituxan is definitely not for me. Kim, stunning that your rheum doc let his own bias put you at such risk. Just my opinion & I haven’t taken that drug, but EVERY article says cautious pre-treatments must be used. There are even examples of various methods or types of steroids. But letting you experience the full blow of the treatment without any medications to moderate it sounds very wrong. It’s up to you, but it is possible still in your future options if administered properly and you run out of other choices. I have been on Rituxan and methotrexate since August 2006. I now receive infusions every 7 months. I was on Enbrel and Arava for 7 years then it stopped working. Tried several other drugs for a year then Rituxan. It was a miracle for me – I am almost pain free. I take no NSAIDS. This is after 8 years of limping and walking sideways down the stairs. Some days I couldn’t even straighten my back. Enbrel only took about 50% of the pain and disability away. I am now more prone to infections (I’ve had 3 lung infections in the last 7 months – but I have chronic lung issues, too). I have to be careful with blood pressure (mine is naturally low). The infusion can make it drop dangerously low which happened to me once, and the infusion ended up lasting 8 hours. Now I always warn the nurses and they increase the drip very slowly. It takes 4 – 5 hours usually. The premeds make me want to sleep and run around the block at the same time. I can’t read when I’m like that so I bring a DVD player and watch movies. Bring a blanket. Bring snacks, get comfy. I work hard as a single mom and enjoy the time off. I’m so sorry to hear that others weren’t helped, but I really hope it works for you like it works for me. If I didn’t have this I would be completely up the creek. I started Rituxan in 8/2006 and my hubby left for another woman in 10/2006. Amazing timing since I now work full time, take care of my daughter, the house, etc… It’s worth the risk for me. 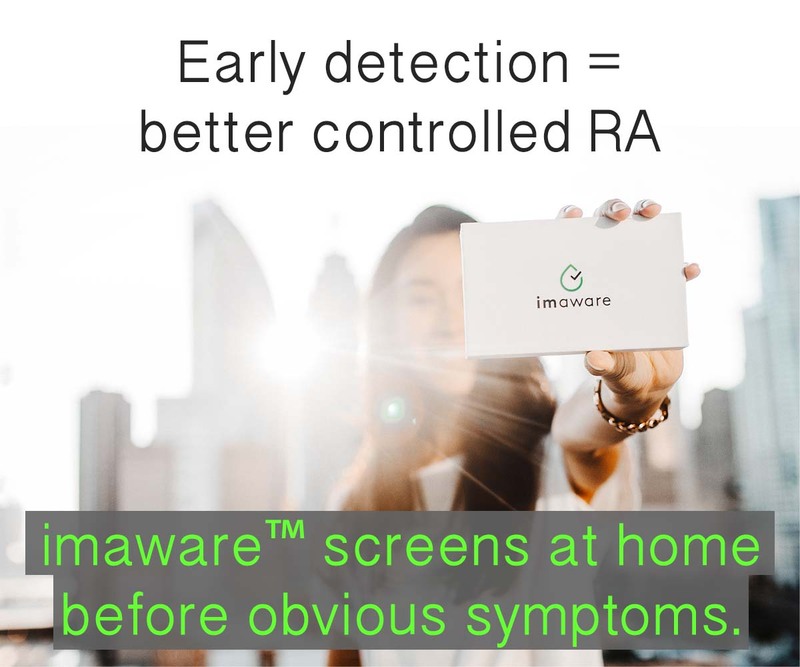 Having uncontrolled RA has risks also. Are you coming to Orlando for your infusion? I’ll be there Friday getting mine. I was diagnosed with RA over 10 years ago and have tried every available medication without much success. Thankfully, my Rheumatologist at the Cleveland Clinic prescribed Rituxan (along with Methotrexate), which I have received via IV every 4 months for the past 1 1/2 years. I still have bad days but Rituxan has allowed me to function more on a daily basis than any other medication being used to treat RA. We are just now scheduling my second round of infusions for Rituximab. Exactly 6 months after my first infusion, my symptoms began to come back. It has now been 8 months. Prior to starting Rituximab, I was on the high-speed tour of biologics. They would provide some relief for a brief time, but then lose any effect. I began to think that I was just destined to live with increasing amounts of pain, discomfort, and disability. Rituximab has been a real blessing for me so far. I am hopeful that it will continue to be effective for me. I’ll let you know how it goes. Kelly, my prayers are with you. However, I can’t believe you’re just giving up this way. I read your post about not doing anything but lying in your bed and the couch everyday, dealing with severe pain day in and out. You’re not taking any meds and letting the disease just take its toll. We have to take meds regardless of the side effects or risk being completely crippled. You can’t just sit on your computer all day whining and encouraging the rest of us to whine. I get up everyday even if I don’t feel well. I also faithfully take my meds to enable me to do such moving around. Again, my prayers are with you but it seems you have completely given up. I don’t know for sure what your real name is or what to say to you. Anyone could read more than 2 minutes on this site see that your accusations are untrue. Obviously, people bring their different perspectives with them when they read which affects how they interpret what’s written. It’s fine if you don’t read it. None of your accusations are factual. You’ve come 3 times with such accusations now against either me or against the readers here. (Readers should click here to view all or this reply might not make sense to you..) All day long I reply to people to never give up and to hope even when it looks hopeless. There are over 500 pages here, with 57 helpful-tips posts and dozens in the humor category, 26 in courage tag, 18 in encouragement, 24 in patient empowerment (epatient), and 15 in preventive care. One of my most known phrases here in blogs and comments is “Leave it all on the field” which I believe most people with RA do. Unfortunately, many of them don’t have the wonderful response to treatment that you are blessed with. That is not their fault. If all I do is lie around, how did I write all the posts about adventures in Walmart or Miami? Or making birthday cakes or all the photos I post on Facebook of my adventures with my kids? Any one of my 5 kids would write a page asking you why you’d come on here and anonymously attack their mom – but I won’t let them. You can read the post they wrote without my knowledge the day they hijacked the blog – click here. Every move I make in extreme pain, but I do the most that I possibly can every moment of my life. That’s what I believe most people with RA do. I’ll respond to one more of your accusations. Why do you claim I refuse to take medications? I’ve been through 5 dmard/chemo treatments, 4 prescription ndaids, pain meds, and prednisone. 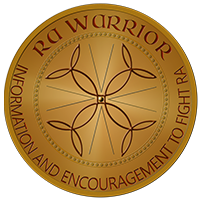 Like about a third of RA patients, treatments have not worked on my RA. I still take the maximum dose of methotrexate (25mg by injection) and the last advice from my rheum doc was to not take any other dmards or biologics until a new one is approved. I know a number of patients personally who are or have been in the same boat. In the doc’s own words, why keep adding tnf’s when they are not helping? Research shows that they won’t suddenly begin helping. I’ve been willing to try anything. As it says in the post, my docs refused to let me try Rituxan so it was not an option. I even spent several months trying to get into clinical trials. All of this is documented on this blog. For anyone curious, we opened a random post and my daughter selected a comment that represents a typical response. Via email, FB, Twitter, and the blog, I’ve many thousands like it. It’s important because like most others say, she says she is much empowered by this site & less likely to whine (her words). Click here to read. It’s so unusual for me to get a comment like this that I did not know what to do. If you post another one, I’ll probably not take time to reply like this. I am extremely busy and 400+ emails behind. Don’t waste any time or words on this Bull Smoot. Don’t even respond. We love you Kelly!!! thanks Rachel. Just re-reading what my kids wrote about me meant a lot today. thanks for letting me know u r there too. my kids would know if their mom were giving up or lame or whatever she/he claims after obviously not reading many pages here. That’s the opposite picture painted by what they wrote who see me fight back every minute of every year with this evil unrelenting monster called RA. I went back and reread their post too. Of all your accomplishments, they are by far your greatest!!!! I just can’t imagine having energy for his/her hostility. Ick. Now go enjoy time with them! How can anyone who reads your blogs and other pages of information and your replys say that you have given up? I don’t hear that on your site or from your replys to me and to others, you encourge us to keep at it and research our disease, but you do not say give up nor does it seem at you gave up. We encounter enough negative from people who do not have RA, so just ignore this person, she can take her negative remarks and go to another site that will put up with that. As far as whinning, I don’t hear you whine about how you have to live each day, just the facts of how you do push thru. I love this site and your blogs, and the encourgement we give to each other here, please keep up your hard work. Wow! I guess I am in the same boat with you Kelly, I guess according to “some” I am considered a giver-upper even though I have tried with full hope and confidence all the available DMARDs with the exception of the infusion options (which I am in the process of beginning) and felt the emotional as well as physical effects of none of them working for me but I guess that defines me as a giver upper. And I guess that I am a whiner since I feel that I have a platform to voice how this awful disease really affects every single day of my life with others who completely understand chronic pain and the upset of nothing helping stop the disease. I am a positive person and use that as well as humor in my arsenal of surviving everyday with this disease, but when you have a chronic disease and none of the modern medication helps we need an outlet to voice our emotions and frustration that is felt when nothing helps. I am glad for all of those who are helped by the modern medication but how dare anyone judge those of us who are not helped and have actually tried for voicing our frustration ! How dare anyone accuse us of being negative whiners because we actually feel that we have a place where we can be honest with how we feel on a daily basis and the struggle and the reality of this horrific disease. Secondly, if one thinks that this blog and those that post on it are whiners that have given up, then why read it or why come back? Kelly, I believe that you know that those type of opinions are the minority and that the majority of us are thankful and supportive of you and are so grateful for all that you do and the information that you put on the blog. Thanks again for all you do! Hey all, been doing some reading on PML and I have been trying to find out if it is a possible side effect of Orencia as well. Also, I have been trying to find out if there is a test for polyomavirus JC which if I understand correctly, if you have never been exposed to this JCV then you could not get PML. If what I am understanding is actually correct, I would feel a whole lot better about taking these infusion biologics if I took this test first and then made my decision. I have almost given up hope that something will work for me as I have tried TNF blockers and the other DMARDS and haven’t had luck but the Orencia targets a different receptor so it could possibly work. It truly is a scary dilemma and I am uncertain as to how to proceed. I would appreciate it if anyone who has knowledge or experience with these infusion drugs to respond for some different views. Thanks Kelly for broaching this topic that should concern anyone who is considering these infusion drugs and hasn’t had anyone discuss this possibility with them I just happened upon it while reading about Rituxan. Hi! I developed retrobulbar optic neuritis from Remicade. Because of that, I could no longer use that type of treatment. Rituxan was my only option. It has worked pretty well. The first set of infusions lasted about 4 months. I had my second 2 in April and so far, again, pretty good. I don’t think I will ever be free of other pain relievers – right now I still use Hydrocodone – but I can say that I have more energy and not the constant pain that I had prior to Rituxan. So I can say my experience with Rituxan has been positive. Good Luck!! thanks everyone for your posts, I’m not on Rituxan, but currently on Orencia, Arava, and 4 mg predisone. For now, Arava and Orencia is on hold as I recover from pneumonia. But the posts has helped me to decide to continue with Orencia for now, if I get pneumonia again, then I will have to stop it. As my mom and I was talking about quantity verus quality of life, when we are in extreme pain and can’t move we really don’t have quality either, so its a chance we take to see if something does work or not. As Dawn said if the rheummy did a blood test to see if we had JCV then we would know not to take Rituxan. Hope it does work for you Kelly so you get some relief from the pain and stiffness. Hi Mary, I haven’t responded much to the rituxan. But I have a friend with RA & MG also. She does very well on the rituxan. I’ll ask her what else they gave her for the MG – she told me but I don’t remember right now. I received two infusions of Rituxan (1 round) in June/July. I am also taking Arava and Plaquenil. I have been fighting RA for almost 3 years now, and I am hopeful that Rituxan will provide long-term relief. Previously I was on Simponi and Enbrel, but eventually they stopped working. So far, Rituxan is helping my “all-over” RA symptoms; I don’t feel stiff ALL over my body or have those unmanageable, relentless pain-days anymore. Also, I have more energy on most days. I still have pain in my “trouble spots”- the joints that are chronically swollen, but it’s not as bad as it was pre-Rituxan. Overall, the Rituxan has knocked my pain down on the scale and upped my ability to function in everyday tasks. I am hoping Rituxan will continue to provide relief for me and will be even more effective after future infusions. I have been on Rituxan for 3 years now with very little adverse reactions. The only re action I’ve had was during the infusion, the nurses had to slow down the drip. Rituxan has been a God send for me. I have been able to return to soccer because I can actually play again! Of corse it’s different for everyone but I feel as if I was lead to rituxan by a miracle, a Dr. At the Cleveland Clinic. He believed it was my best option and he was right. I didn’t get any relief from Embrel or remixed or just my and plaquinel. Rituxan has been a lifesaver. I have been on ot for 2 years, and I feel pretty darn good.